We’ve taken this to heart at Back to Life Chiropractic Centre. With two chiropractors on staff, you get the benefit of extra brainpower. Especially with difficult cases. 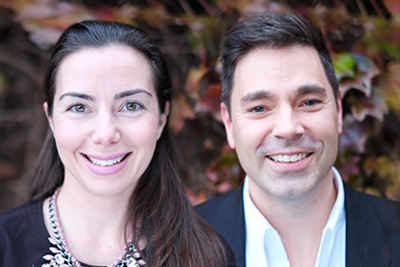 Husband-and-wife chiropractors Dr Glen Cameron and Dr Julia Vitali have served our community with excellent chiropractic care for more than a decade. We look forward to getting to know you and your family, and welcome you to find out more about us! To begin your journey to greater health, contact us today! We are preferred providers for BUPA and have HICAPS facilities on-site for immediate rebates. Growing up, I watched my parents suffer in pain from their spinal fusion surgeries. I grew up eager to help them find a way to feel better. When I was younger, my debilitating migraines led me to a chiropractor for relief.